I am delighted to announce that we have two forthcoming events. The first will be on ‘Order / Disorder’ and will feature Derek Bolton, Seb Franklin, Paul Stevenson and Peter Wiegold. For more details see here. The second event will be on ‘Blindness’ and will feature writer and theologian John Hull, neuroscientist Colin Blakemore, philosopher Ophelia Deroy and filmmakers James Spinney and Peter Middleton (who are currently making a film about John Hull’s experience of blindness). More details on this event soon! 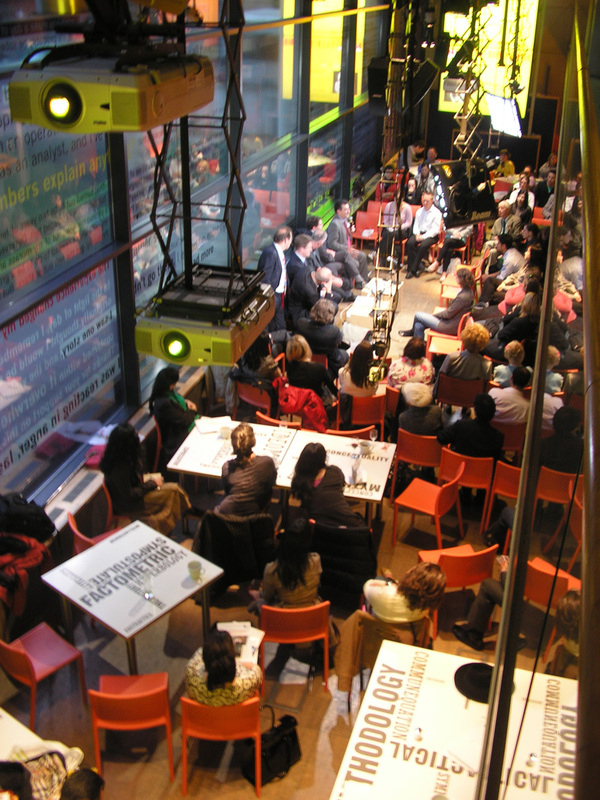 Both events will be held in the cafe at the Science Museum’s Dana Centre (pictured) from 6.30-8.30pm and both events will be followed by a drinks reception. The ‘Order / Disorder’ discussion will take place on 15th April. The ‘Blindness’ event will be held on 7th May.